Places are still available in this Sunday’s second annual Ride with Brad sportive in Lancashire, according to the organisers. Entries will remain open for anyone wanting to join in right up until the day itself. As well as Sir Bradley himself, four top riders from the Wiggle-Honda team will take part in this year’s ride: Sir Bradley’s fellow Olympic champions Laura Trott and Dani King will be joined by their teammate Junior World Champion Elinor Barker and teammate and manager, Rochelle Gilmore. Sir Bradley Wiggins said: “With the World Championships coming up next month I’ve got a busy few weeks ahead of me, so I’m really looking forward to riding this sportive and enjoying the relaxed atmosphere. “It’s been fantastic to see that so many people have signed up to come and ride with me and the Wiggle-Honda team at the weekend, and we’re hoping to get even more signing up in these last few days. Last-minute entrants will be able to sign up on Sunday morning at the event site in Barnoldswick, though online entry will close at midnight tonight. There are three choices of distances available – 160km, 100km and a 50km route, which has been added this year for less experienced riders. All three routes start and finish in the Lancashire town of Barnoldswick, taking in beautiful views of the Ribble valley and covering roads Sir Bradley regularly trains on. 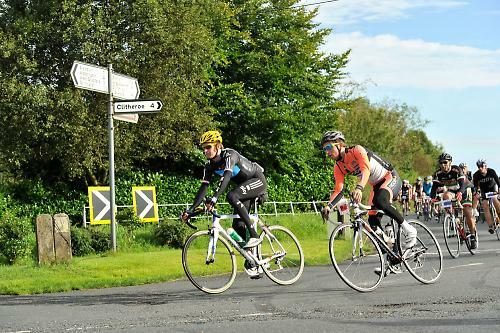 To keep fans and the family and friends of participants entertained throughout the day there will be a cycle show and festival of sport taking place at the event village, with cycling as well as many other sport activities for the public to try out. 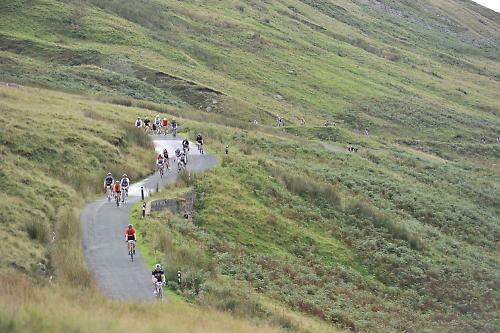 Entry for the 160km and 100km routes will cost £40 and the 50km route will cost £35. There is a £5 surcharge for entries taken on the day.